So you're not able to view your favorite website 'cause you don't belong to that country or your ISP (Internet Service Provider) have blocked access to the sites like torrent and cracking site. I will tell you how access and view those sites. I remembered, last time when I was looking a torrent site, I was getting error that the site doesn't exists. I thought it should be an issue of Internet Connection but after doing little research, I found that my Internet Service Provider (ISP) have blocked access to that site. It isn't a good idea to rule on users. If you're also facing difficulties and want to access those sites than I have some simple tricks for you to access and view blocked websites. Let's first know some reasons which caused blocking of certain site. Site blocked in certain regions or country. Website blocked by your ISP or telecom operators. Site blocked for you only. Now let us see some tweaks and tricks to access website blocked in a very easy way. If you think that, this is the reason which is causing you from accessing this site than you can use proxy to gain access again to that site. Google the list of some web proxy sites and follow the following steps. Find a web proxy site. Enter the URL of the site (which is blocked) in the given URL field in the proxy site. Wait! Your site will be loaded and you will be able to browse it. By this way, you can browse the web and any site anonymously. There is an another way in which you can access blocked website (for Eg. YouTube), follow the same steps as explained in Showing only first name in Facebook in the first part. You can use web proxy to gain access to those sites which is blocked by your telecom operator or other ISP. But if you don't feel safe on web proxy site than you can change and configure the DNS for your Computer. Go to Control Panel > Change Adapter Settings (on left panel). Now right click on your Connection and click Properties, you will need administrator access for this option to work. Select/Click on Internet Protocol Version 4 (IPv4) and click Properties. Now tick on use following DNS servers and add your favorite DNS providers. If you don't know anything about DNS servers and list of good DNS servers than take a look at the List of Public DNS Servers. I like using OpenDNS and Norton. If the above steps doesn't work for you than you can browse for that site using its IP address. Their are chances that the site will be blocked by their IP address too. But you can try as it works in most cases. Press Win+R and type cmd in the given search field and hit enter button. 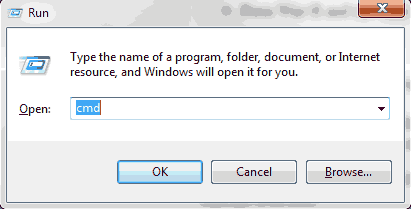 Now cmd window will be opened. If Facebook is blocked than type ping www.facebook.com and press enter. 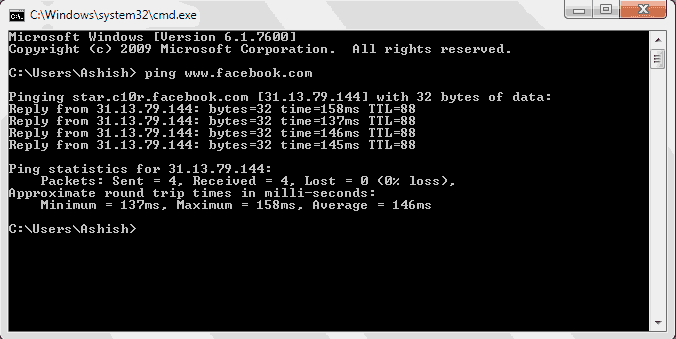 Now you can see the IP address of Facebook. See the image given below. Note down the IP address and browse it in your web browser. If none of the above steps worked for you than you can try using Tor Browser. You can download this software from here. That's All! I hope you're enjoying the Internet without any blocks and restrictions.